Aix-Marseilles University was established by decree No. 2011-1010 of August 24, 2011. It officially opened on January 1, 2012, replacing the University of Provence, University of the Mediterranean and Paul Cézanne University. Today, as well as being one of the youngest universities in France, it is also the largest in terms of its student body, its faculty and staff, and its budget in the whole of the French-speaking world. These factors combine with the remarkable results already achieved in teaching and research to make Aix-Marseilles University a top class higher education and research institution. Aix-Marseilles University has nearly 71,000 students including 10,000 international students, 7,680 faculty and staff members, 12 doctoral schools and nearly 3,650 PhD students. 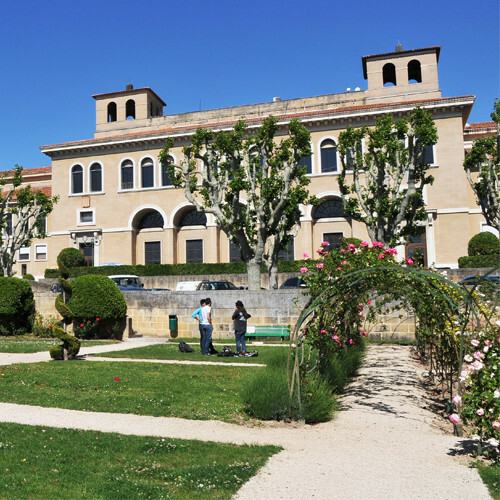 Aix-Marseilles University is home to 130 research facilities – 117 research units and 13 federative research structures – linked to France’s biggest research institutions (CNRS, INSERM, IRD, INRA, CEA). Students are spread over 5 main campuses: Aix-en-Provence, Marseilles-Etoile, Marseilles-Central, Marseilles-Timone, Marseilles-Luminy, with additional locations in Gap, Digne, Arles, Aubagne, la Ciotat, Salon de Provence, Avignon, and Lambesc. Arts, Humanities, Languages, and Social Sciences Division: Faculty of Arts, Humanities, Languages, and Social Sciences, Mediterranean Social Science Center (Maison Méditerranéenne des Sciences de l’Homme), Training Center for Music Facilitators. Economics and Management Division: Faculty of Economics and Management, Institute of Business Administration, Aix-Marseilles School of Journalism and Communication, Regional Labor Institute. Health Division: the Faculties of Medicine, Pharmacy, and Dentistry, Marseilles Mediterranée University School of Midwifery. Science and Technology Division: Faculty of Science, Faculty of Sports Science, Earth Sciences and Astronomy Observatory / Pytheas Institute and Polytech’ Marseilles.